Tall Tales Readers Theaters 2015!! 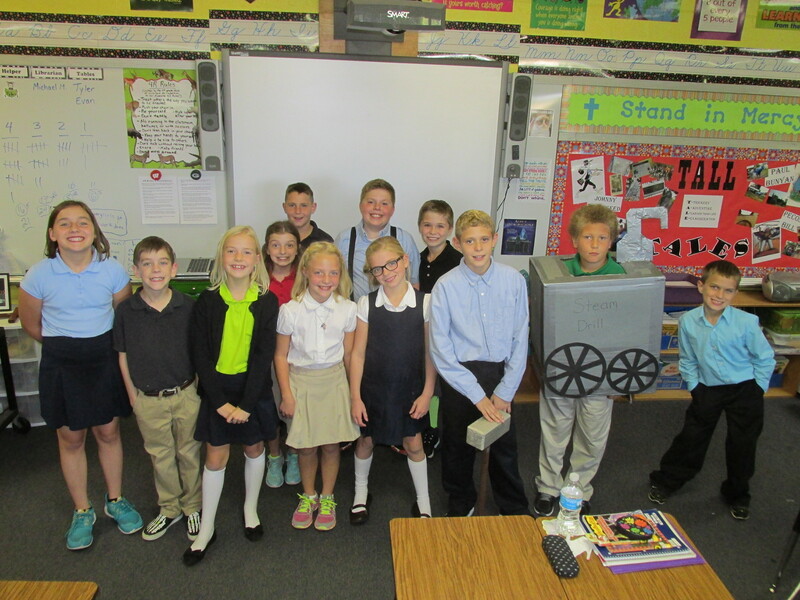 We’ve been studying Tall Tales for the past few weeks, and we wrapped up today with performances of two readers theater plays. We performed a Johnny Appleseed play for our Kindergarten Book Buddies and a John Henry play for one of the second grade classes. 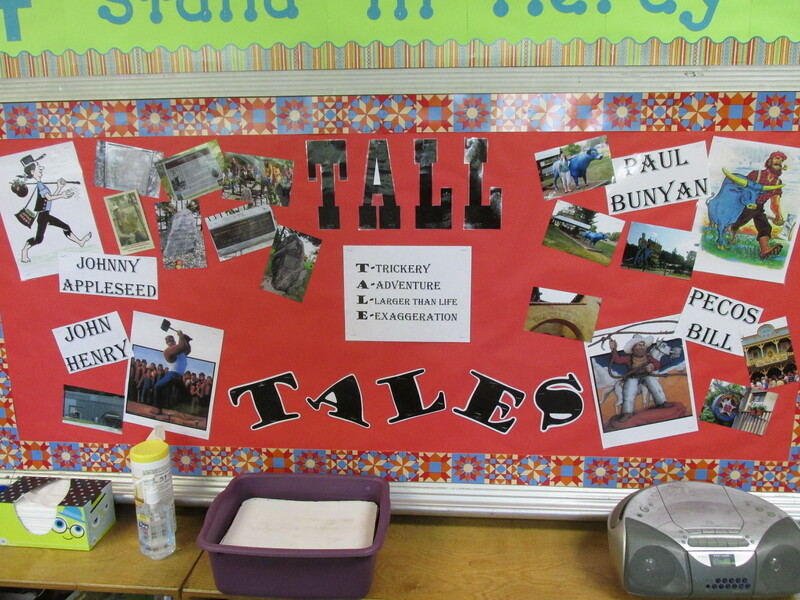 We’ve been studying Tall Tales in Reading class for the past few weeks. We are almost done, after a unit review tomorrow and a quiz on Friday. So, I thought it only right that I share a few of the things we’ve been working on with this unit! 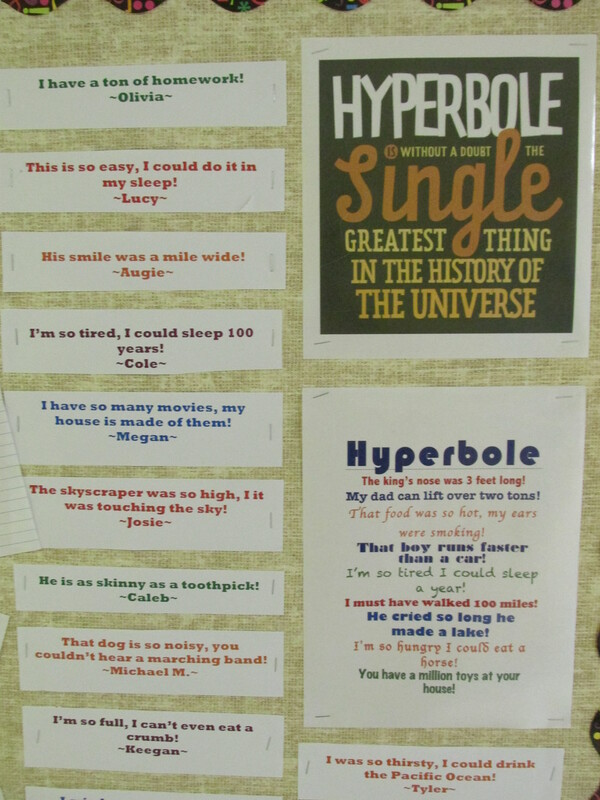 One of the first things we learned about in this unit was hyperbole. A hyperbole is an extreme exaggeration, and tall tales are FULL of them! We tried our hand at writing some of our own. 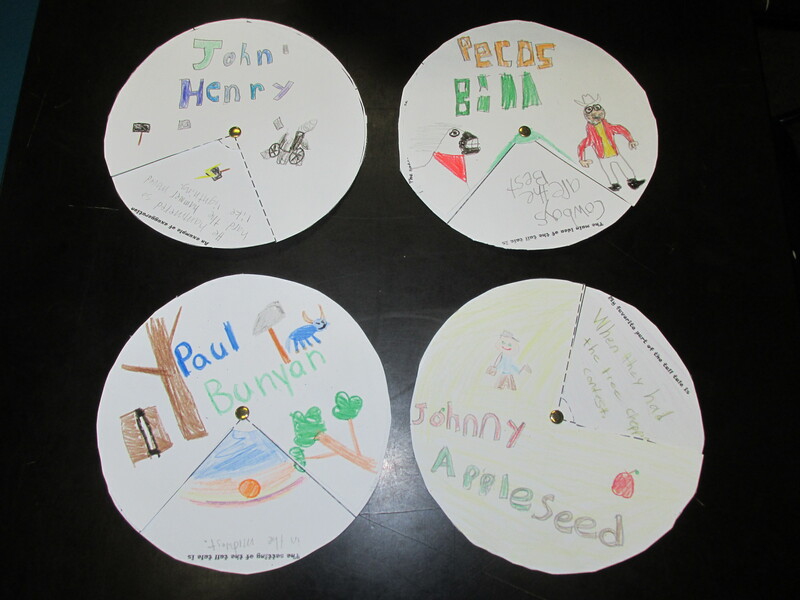 We read about four tall tale characters, Paul Bunyan, Pecos Bill, Johnny Appleseed, and John Henry, and learned about how they helped shape our growing nation during the time the pioneers were moving West to settle. We are hard at work writing our own Tall Tales, and hope to have those finished and published within the next few weeks. Tomorrow we will do a unit review of our stories and characters. Then that will wrap up our study of Tall Tales!! What a fun unit!! Yesterday was Johnny Appleseed’s birthday! 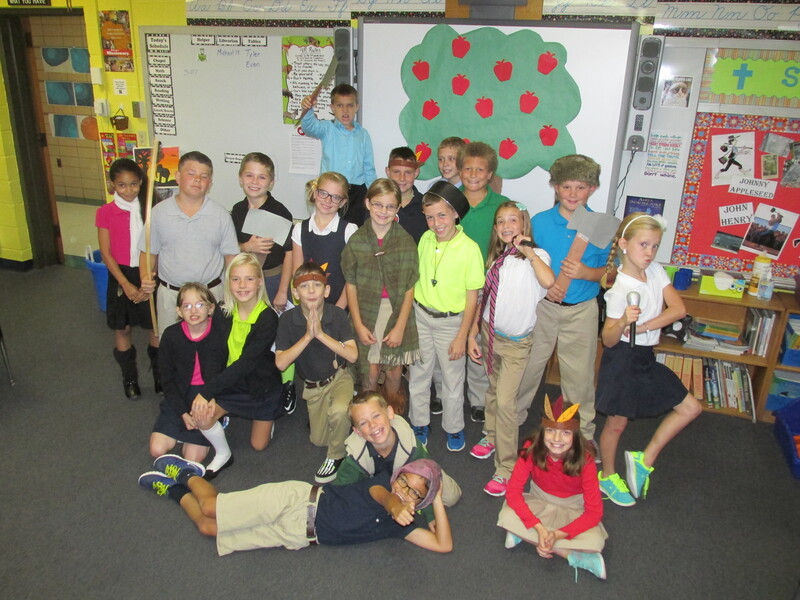 We celebrated with some apple treats, apple “jewelry”, and another Tall Tale activity to go with our Tall Tale unit. 🙂 Happy Birthday, Johnny! !